McNeill's other sister Kate was a popular poet of her day. A previous post on John McNeill is available here. These photos are of Well Park which overlooks the cobbled area of Greenock town centre. The park was given to the people of the town by the Shaw family, an early member of which was Sir Hugh Montgomery's wife Elizabeth - the park is the former site of their castle, 'Wester Greenock'. Elizabeth was the brains of the Montgomery Ulster-Scots empire around Newtownards, but she died around 1623 or so. The old 1629 well shown below was built by the Shaws back home in Greenock; meanwhile Elizabeth's brother James Shaw built Ballygally Castle on the County Antrim coast road in 1625. This excellent account of the history of Greenock says that it was Elizabeth's father John Shaw who built the first church in the town with permission from King James VI. And it's no surprise to read that '...In 1670 a French traveller, M. Jorevein de Rocheford, visited `Krinock' which he says is 'the town where the Scots post and packet boat starts for Ireland...'. The first history of Greenock is available here. Well Park is lovely spot for a stop-off if you're doing the coastal drive from Glasgow down to the Troon or Cairnryan ferries, with good views across the River Clyde. Visiting these places really brings history to life. Pics should enlarge when clicked. 'Ignoring the uniqueness of Antrim and Down' (and of the many Scottish-settled areas and communities across Ulster) is still, sadly, a common theme in some circles. Years ago I was told by many 'experts' that there was no Ulster-Scots story, so I set about trying to change that. I think that those of us who helped me did a superb job, and continue to do a superb job. 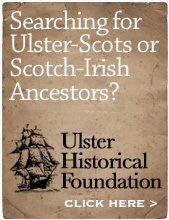 But now that the Ulster-Scots story is deeply researched and well told, many 'experts' just choose to ignore it. The stereotypical 'two tribes' Protestant v Catholic approach to history is clearly going to take a while to go away. The birthplace of Colonel James Wallace, the one-time Governor of Belfast who was sacked when the authorities found out he was a Presbyterian. Below are an old engraving and two photographs I took this afternoon. Auchans looks a lot like Monea Castle in County Fermanagh. It's fenced off but you can access it via a lane which runs from the main road between Loans and Dundonald, and you can walk the the whole way round - a very impressive building. It's set within a (now mainly ruined) walled enclosure which surround it, about 100 yards away from the building on all sides. Colonel Wallace lived at Ballycarry in County Antrim and led the Covenanters at Rullion Green in 1666, where his name is inscribed on the metal plaque. Just finished my 1hr presentation at the SCMA annual dinner meeting. Amazing response, record turnout, lovely to see many old friends again, exciting connections made with new friends, all free tabloid publications snapped up and all copies of the Alexander Peden book sold out. Wonderful wonderful night - "we're all the same folk with a wee bit of water in between" - some of you will be getting emails from me with specific information! Some of the people who were there tonight are readers here, please feel free to post a comment or send me an email so I can relay your feedback to like-minded folk on our side of the water. Boughey William Dolling Montgomery (1853 - 1917) was born on 18 September at Ballykeel House, Dromore. His father was Rev Thomas Hassard Montgomery of Dromore and his mother Emily was daughter of Rev Boughey William Dolling of Magheralin. BWD was educated at Parkgate in Cheshire and abroad. He served in the 3rd Volunteer Battalion of the Lancashire Fusiliers and became a Lieutenant on 22 May 1886; he became a Captain on 29 March 1890 but resigned his commission on 20 November 1895. His father died in 1865; some years later, in 1908, BWD had a memorial window to his parents installed at Magheralin Parish Church. The church also has a Dolling family memorial window. BWD became a partner in the firm of John Preston and Company, a member of the Ulster Club, a prominent Freemason, and lived at 'The Drift' and 'Mount Lyons' on the Antrim Road in Belfast. In 1893 he was a founder of the 'Ulster Defence Union', whose membership was 'fully representative of the Unionism of the Imperial Province'. 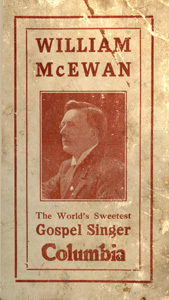 He became Secretary of the Belfast Unionist Club. In his commercial life, he filed US Patents for a new type of bleaching vat on 8 July 1902 (see PDF file here). '...Speaking in Edinburgh on the 1st of November, 1911, that is, shortly after the Craigavon meeting, Lord Rosebery told his Scottish audience that "he loved Highlanders and he loved Lowlanders, but when he came to the branch of their race which had been grafted on to the Ulster stem he took off his hat with reverence and awe. They were without exception the toughest, the most dominant, the most irresistible race that existed in the universe." ...the decision to invite the Ulster people to bind themselves together by some form of written bond or oath was one which Carson did not come to hastily. While the matter was still only being talked about by a few intimate friends, and had not been in any way formally proposed, Captain James Craig happened to be occupying himself one day at the Constitutional Club in London with pencil and paper, making experimental drafts that might do for the proposed purpose, when he was joined by Mr. B.W.D. Montgomery, Secretary of the Ulster Club in Belfast, who asked what he was doing. Thereupon the two men went to the library, where, with the help of the club librarian, they found a History of Scotland containing the full text of the celebrated bond of the Covenanters (first drawn up, by a curious coincidence of names, by John Craig, in 1581), a verbatim copy of which was made from the book. The first idea was to adapt this famous manifesto of militant Protestantism by making only such abbreviations and alterations as would render it suitable for the purpose in view. But when it was ultimately decided to go forward with the proposal, and the task of preparing the document was entrusted to the Special Commission, it was at once realised that, however strongly the fine old Jacobean language and the historical associations of the Solemn League and Covenant might appeal to the imagination of a few, it was far too involved and long-winded, no matter how drastically revised, to serve as an actual working agreement between men of to-day, or as a rallying-point for a modern democratic community. What was needed was something quite short and easily intelligible, setting forth in as few words as possible a purpose which the least learned could grasp at a glance, and which all who so desired could sign with full comprehension of what they were doing. 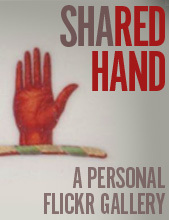 Mr. Thomas Sinclair, one of the Special Commission, was himself a draughtsman of exceptional skill, and in a matter of this kind his advice was always invaluable, and it was under his hand that the Ulster Covenant, after frequent amendment, took what was, with one important exception, its final shape. The last revision cut down the draft by more than one-half; but the portion discarded from the Covenant itself, in the interest of brevity, was retained as a Resolution of the Ulster Unionist Council which accompanied the Covenant and served as a sort of declaratory preamble to it. The exception referred to was an amendment made to meet an objection raised by prominent representatives of the Presbyterian Church. The Special Commission, realising that the proposed Covenant ought not to be promulgated without the consent and approval of the Protestant Churches, submitted the agreed draft to the authorities of the Church of Ireland and of the Presbyterian, Methodist, and Congregational Churches. The Moderator, and other leaders of the Presbyterians, including Mr. (afterwards Sir Alexander) McDowell, a man endowed with much of the wisdom of the serpent, while supporting without demur the policy of the Covenant, took exception to its terms in a single particular. They pointed out that the obligation to be accepted by the signatories would be, as the text then stood, of unlimited duration. They objected to undertaking such a responsibility without the possibility of modifying it to meet the changes which time and circumstance might bring about; and they insisted that, before they could advise their congregations to contract so solemn an engagement, the text of the Covenant must be amended by the introduction of words limiting its validity to the crisis which then confronted them. This was accordingly done. Words were introduced which declared the pledge to be binding “throughout this our time of threatened calamity,” and its purpose to be the defeat of “the present conspiracy.” The language was as precise, and was as carefully chosen, as the language of a legal deed; but in an unhappy crisis which arose in 1916, in circumstances which no one in the world could have foreseen in 1912, there were some in Ulster who were not only tempted to strain the interpretation which the Covenant as a whole could legitimately bear, but who failed to appreciate the significance of the amendments that had been made in its text at the instance of the Presbyterian Church. Being convinced in our consciences that Home Rule would be disastrous to the material well-being of Ulster as well as of the whole of Ireland, subversive of our civil and religious freedom, destructive of our citizenship, and perilous to the unity of the Empire, we, whose names are underwritten, men of Ulster, loyal subjects of His Gracious Majesty King George V, humbly relying on the God whom our fathers in days of stress and trial confidently trusted, do hereby pledge ourselves in solemn Covenant throughout this our time of threatened calamity to stand by one another in defending for ourselves and our children our cherished position of equal citizenship in the United Kingdom, and in using all means which may be found necessary to defeat the present conspiracy to set up a Home Rule Parliament in Ireland. And in the event of such a Parliament being forced upon us we further solemnly and mutually pledge ourselves to refuse to recognise its authority. In sure confidence that God will defend the right we hereto subscribe our names. And further, we individually declare that we have not already signed this Covenant. BWD signed the Covenant at the City Hall (PRONI ref 5061, sheet no 63). He became Commander of the 6th Battalion of the North Belfast Regiment of Carson's original Ulster Volunteer Force in 1914, a battalion of 1500 men. BWD Montgomery died aged 64 on 4th October 1917 and was buried in the joint Montgomery & Dolling family plot at Magherlin Old Graveyard. Here's a great clip of a great band. Guitar player / vocalist Willie Watson is a genius. He is bound to be Scotch-Irish. The first song is beautiful; the second is a version of one I discovered in an old book about 20 years ago and used to sing around the country (and even recorded!) - 'It's G.L.O.R.Y to know I'm S.A.V.E.D'. At the bottom is a guitar lesson from Willie. I went to the Northern Ireland Philately Fair in Belfast on Saturday morning and picked up a few great postcards of our local area, two of which are below. The 'big' annual NI Postcard Collectors Fair is at St Nicholas' Parish Church Hall, Cadogan Park off the Lisburn Road, on Saturday 28th April starting at 9.30am Their next large fair is at the same venue on the last Saturday in October. There's also a good one in Portadown on 29 September in the Town Hall in Edward Street that I've been recommended to go to. Thanks to Raymond Lipsett for his help and advice on Saturday. The first Presbyterian minister in Ireland - Rev Patrick Anderson of Kirkoswald? Next year, 2013, is the 400th anniversary of the arrival at Ballycarry, Co Antrim, of Rev Edward Brice of Drymen in Stirlingshire. He was invited over by William Edmonstone, one of Hugh Montgomery's right-hand men. Edmonstone had come to Ulster from Duntreath, about 10 miles north of Glasgow, as part of Montgomery's initial 1606 Ards settlement but he moved to Ballycarry in 1609. It's a beautiful spot, with the Scottish coastline visible just over Islandmagee. Both men, and their tenants and congregation, would have felt they were nearly as close to hame as they could get. Rev Edward Brice has gone down in history as the first Presbyterian minister in Ireland - his impressive gravestone is in Templecorran church at Ballycarry, and nearby there is a memorial stone with a plaque which tells his story. Anderson's successor at Kirkoswald was a Rev John Burne, who remained as minister until 1660 when he, like so many others, was expelled from the pulpit during the early months of the 'Restoration' regime of King Charles II. Burne also had Ulster connections, he spent time in "the north and west parts of Ireland in and about Derry for three months because of the great scarcity of honest ministers in these bounds". On 22 June 1644 Burne was paid £50 by the Scottish Parliament to cover his expenses in travelling across; he was injured in Derry but I can't find any detail as to the circumstances. Hopefully the Edward Brice 400th anniversary will not be overlooked for next year. Photos below are of the Brice memorials at Ballycarry. Next week I'm off to Fenwick in Ayrshire to speak at the annual meeting of the Scottish Covenanter Memorials Association. I had the pleasure of meeting Dane Love, Secretary of the SCMA, back in 2008 during the 'Covenanters in Ulster' project; last Autumn Dane asked me if I'd be willing to go across and give an outline of the story from our side of the water. Below is the text of a poem entitled Kirk and Covenant, written down in Belfast in 1795 as one of a collection of 'Popular Ballads preserved in Memory'. I'm really looking forward to this, and will be doing one of my usual 45 minute heavily illustrated informal talks. There are plenty of others who can do these things in a more scholarly manner than I, so I hope that the audience won't be too disappointed. '...Twas grace that taught my heart to fear, and grace my fear relieved...'. People get the old gospel wrong a lot of the time. Most think it's about believing in God and being a good person. It's not. It's about trusting in Christ because we're not good, because we're all sinners. Christmas is not the big message - Easter is. I have a very different view of Charles II than the party animal presented in this clip from BBC 'Horrible Histories' - but it's a series my three weans never miss. A bit of imagination can go a long way when telling stories. Nearly 2.5 million views on YouTube between these three videos. So now the weans are asking me questions about Charles II - which gives me an opportunity to get the real story across. Born in New York to 'prosperous Scotch-Irish parents' (Thomas MacDowell and Frances Knapp MacDowell), Edward Alexander MacDowell was said to be 'a direct descendant of an old Scotch-Irish Quaker family which came to America in the early eighteenth century'. This 1915 biography is more precise, stating that his grandfather, Alexander MacDowell, was born in Belfast; he emigrated to America in the early 1800s and there married an Ulsterwoman called Sarah Thompson. They were both Quakers. MacDowell showed musical talent early in life and aged 16 his parents sent him to Paris for advanced study. Here is his Wikipedia entry. In 1896 Edward MacDowell and his wife Marian established the MacDowell Art Colony in New Hampshire, a centre for creative arts, which is still running today (website here). He died aged just 46. Below is Julian Lloyd Webber playing one of MacDowell's most famous compositions - To A Wild Rose.